Safety Efficiency Award: Kirby-Vass Insulation and Firestop of Virginia will now incorporate a Safety Efficiency Award to all of our field employees. Every 3 months you have not had an accident while working in the field, you will be given a hardhat decal to show off your hard work. April 1st, 2015 was the start to our 2015 business year, so we will start the 3 month period from that date going forward. There will be two different decals. The Kirby-Vass Insulation decal will be blue with white writing. The Firestop of Virginia decal will be white with red writing. 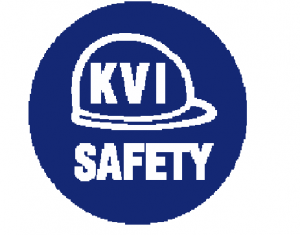 Kirby-Vass Insulation and Firestop of Virginia have put a great emphasis on safety in our workplace. You all have embraced the emphasis also. We are very proud of how hard everyone has worked and we would like to recognize individuals who are consistently safe.